“As Ofgem has said, these increases reflect the sharp rise in gas and electricity costs. The cap is designed to ensure energy companies offer good value to their customers and continue to thrive as an efficient business. The recent freezing weather, coupled with the likely energy company responses to the higher caps, will have a hugely damaging impact on the most vulnerable in our society. Whilst Ofgem’s caps are required to reflect the underlying costs of supplying energy, higher prices will inevitably pile yet more pressure on the millions who have no choice but to suffer in cold and dangerous homes. Last winter, cold homes contributed to record levels of excess winter deaths and chronic ill health. We estimate over 10,000 needless deaths were due to vulnerable people, often struggling with existing ill-health, being unable to heat their homes adequately, if at all. Many others are adopting unsafe coping strategies which create huge pressures and needless increased costs for our stretched health and social care services. In itself, the SVT price cap doesn’t make this situation any worse, but it can’t do much to make it better either. An SVT price cap cannot do the necessary heavy lifting in tackling fuel poverty. 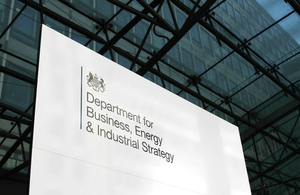 This year the UK Government will revise its fuel poverty strategy and publish its Comprehensive Spending Review. The fuel poor have slipped down the list of energy priorities. Last winter showed the cost of that slippage. This is an opportunity to put the focus of regulation, policy and investment back on the most vulnerable, who pay the greatest price and need the best protection.